Other number 133P389H01 Etched on both sides of circuit board. Other number HGSM1016 Printed on label on top of seven of the modules. Other number HGSM1033 Printed on label on top of one of the modules. Object is populated with 8 silver modules. 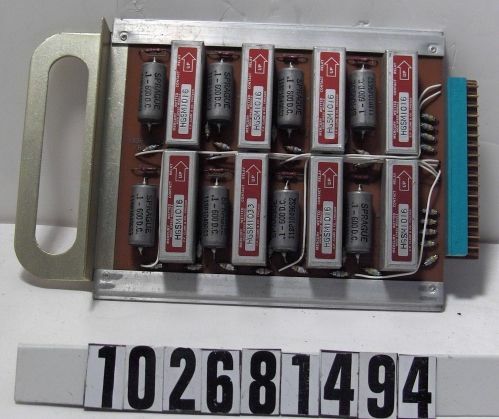 Printed on label on top of modules is, "MERCURY WETTED CONTACT RELAY HIGH SPEED MODULE C.P.CLARE & CO., CHICAGO."